A healing system that originated thousands of years ago in India, Ayurveda is based on the notion that good health depends on the balance between mind, body, and spirit. Considered a complementary health approach in the United States, Ayurveda focuses on restoring balance in the body through a personalized plan that can include massage, specialized diets, herbs, aromatherapy, and exercise. Using data from the 2007 National Health Interview Survey conducted by the Centers for Disease Control and Prevention's National Center for Health Statistics (NCHS), 0.1 percent of respondents had used Ayurveda in the past 12 months. The percentage of respondents who had used Ayurveda was unchanged from the 2002 National Health Interview Survey. According to Ayurvedic theory, everyone is made of a combination of five elements: air, water, fire, earth, and space. These elements combine in the body to form three energies or life forces, called doshas: vata, kapha, and pitta. Although there is a unique mix of the three doshas, one dosha is usually the most influential. In Ayurveda, the balance of a person's doshas is thought to explain some of his or her individual differences and the likelihood of illness. An imbalanced dosha is believed to interrupt the natural flow of vital energy, or prana. The disrupted energy flow is thought to impair digestion and allow the build up of body waste, or ama, which further impairs energy and digestion. The vata dosha is a combination of space and air. It controls movement and is responsible for basic body processes such as breathing, cell division, and circulation. Vata body areas are the large intestine, pelvis, bones, skin, ears, and thighs. People with vata as their main dosha are believed to be quick-thinking, thin, and fast, and be susceptible to anxiety, dry skin, and constipation. The kapha dosha represents the elements of water and earth. Kapha is believed to be responsible for strength, immunity, and growth. Kapha body areas are the chest, lungs, and spinal fluid. People with kapha as their main dosha are thought to be calm, have a solid body frame, and be susceptible to diabetes, obesity, sinus congestion, and gallbladder problems. The pitta dosha combines fire and water. It is thought to control hormones and the digestive system. Pitta body areas are the small intestines, stomach, sweat glands, skin, blood, and eyes. People with pitta as their primary dosha are thought to have a fiery personality, oily skin, and be susceptible to heart disease, stomach ulcers, inflammation, heartburn, and arthritis. An initial assessment with an Ayurvedic practitioner may last an hour or longer. The practitioner will usually ask detailed questions about your health, diet, and lifestyle. He or she will listen to 12 different pulse points on your wrists. An Ayurvedic practitioner also examines your tongue for clues about areas of the body that may be out of balance. The appearance of the skin, lips, nails, and eyes is also observed. After the assessment, the practitioner will determine your unique balance of doshas. One dosha is usually dominant and may be imbalanced. The practitioner also determines your constitution, or prakut. After the assessment, the practitioner typically creates an individualized treatment plan including diet, exercise, herbs, yoga, meditation, and massage. The treatment plan generally focuses on restoring balance to one or two doshas. Diet: A specialized diet may be recommended to balance a person's doshas. 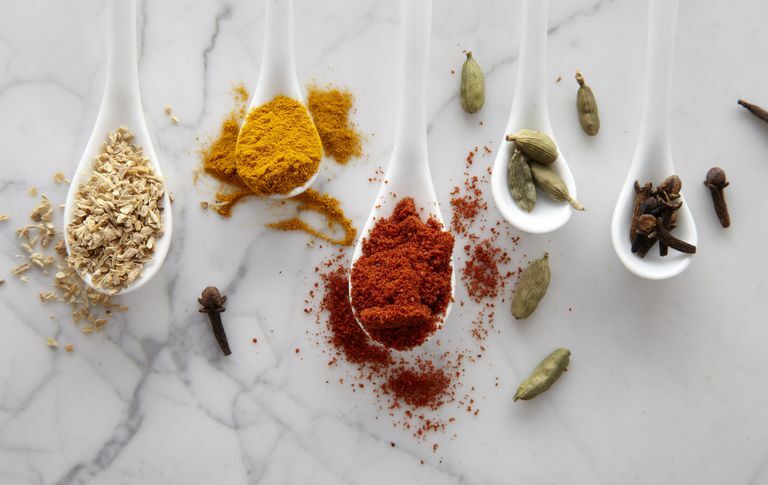 See a list of foods thought to balance each dosha. Herbal medicine: Examples of ayurvedic herbs and spices are turmeric, triphala, ashwaghanda, gotu kola, guggul, and boswellia. Massage and body treatments: Examples include abhyanga, an Ayurvedic-style massage, and shirodhara, a treatment that involves a stream of warm herb-infused oil poured on the forehead. Other bodywork treatments include swedana, udvartina, and pindasveda. Currently, there are no national standards for the certification training or licensing ayurvedic practitioners in the United States or Canada. In the United States, ayurvedic products are regulated as dietary supplements and aren't required to meet the same safety and effectiveness standards as drugs. A 2008 study examined the presence of metals such as lead, mercury, and arsenic in ayurvedic products sold online. The researchers identified 673 products and randomly selected 230 for purchase between August and October 2005. Of the 230 purchased, 193 products were received and tested for the presence of metals. Nearly 21 percent of the ayurvedic products tested were found to contain detectable levels of lead, mercury, or arsenic. There is a lack of research on the effectiveness, safety, side effects, and potential drug interactions of ayurvedic herbal products. Although some research has been done, there have generally been problems with the design of the studies. In North America, the use of certain traditional ayurvedic practices, such as emesis and blood cleansing, is considered highly controversial and may be unsafe. If you are considering Ayurveda, talk with your doctor first to weigh the pros and cons and discuss whether it's appropriate and safe for you. Ayurveda shouldn't replace (or delay) standard care. If you have health concerns, consult your primary healthcare provider first. Be aware that ayurvedic products have been found to be contaminated with metals such as lead and mercury. Saper RB, Phillips RS, Sehgal A, et al. Lead, mercury, and arsenic in US- and Indian-manufactured Ayurvedic medicines sold via the Internet. JAMA. 2008 Aug 27;300(8):915-23.